A cozy kitchen is a favorite gathering place for family and guests. This is a place for having a delicious meal and a heart-to-heart conversation. Many people try to make it clean, but not everyone succeeds. The stove and the cabinet doors require a particular effort. But how challenging it is sometimes to get surfaces perfectly clean! We would like to remind you of some tips that will cope with grease. And they don’t include aggressive chemical cleaning products! Even though a brown bar, familiar since childhood, doesn’t smell of violets, it is very effective and safe in cleaning the house. Only it can be used if the kitchen surfaces are made of granite and marble, aside from plastic, glass, and ceramics. All you need is to make soapy water, apply it with a sponge on the cabinet doors or a table top. Leave for 10-15 minutes, then rinse with a clean sponge and wipe the surface dry. 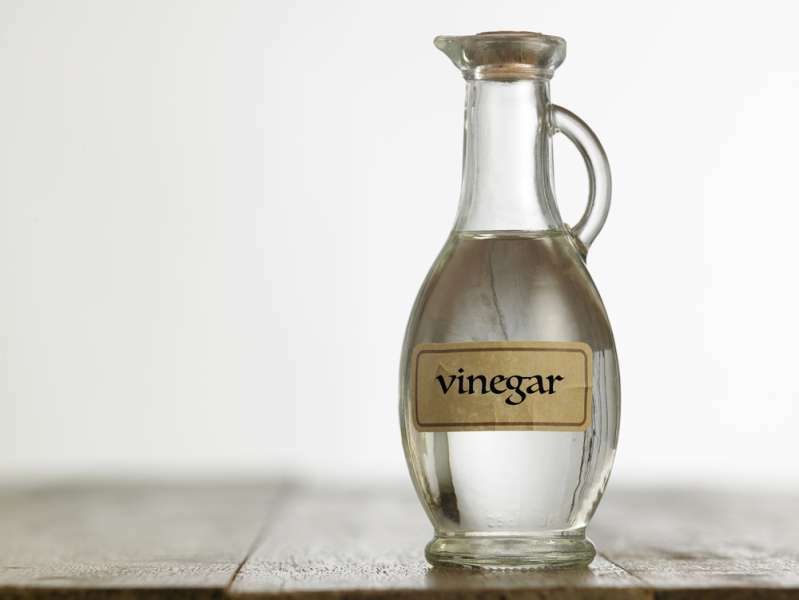 Add 4 tbsp of vinegar and 2 tbsp of olive oil (you can use refined sunflower oil) to 1 quart of water. Add a few drops of orange essential oil for flavor. Pour the solution into a bottle with a sprayer. Apply the liquid on a surface to be cleaned, leave for 15-20 minutes, then wipe with a rag. If a surface is very dirty, repeat the procedure. It is suitable for ceramic surfaces and plastic. Another indispensable product will help to cope with grease on any surface. There is one peculiarity: Soda should be combined with vegetable oil. It may seem nonsense to try removing grease spots with oil, but it works due to the principle of similarity. As, for example, oil paint stains are best removed with the same vegetable oil. Mix soda with oil so that you get a homogeneous paste, apply it on a spot you would like to be cleaner, and leave it for about half an hour. Then, remove the paste with a soft sponge soaked in water. Dirt will come off together with it. In case of an old stain, repeat the procedure. For wooden surfaces, it also serves as a kind of maintenance, since oil conceals scratches and protects against future exposures. Wooden surfaces will become bright again with a solution of 1 quart of water, 1 tablespoon of citric acid, and a couple of drops of detergent. Apply this solution on a dirty surface, leave it, and then wipe with a soft cloth or sponge soaked in clean water. It may be surprising to use this product not for its intended purpose, but don’t rush to conclusions. 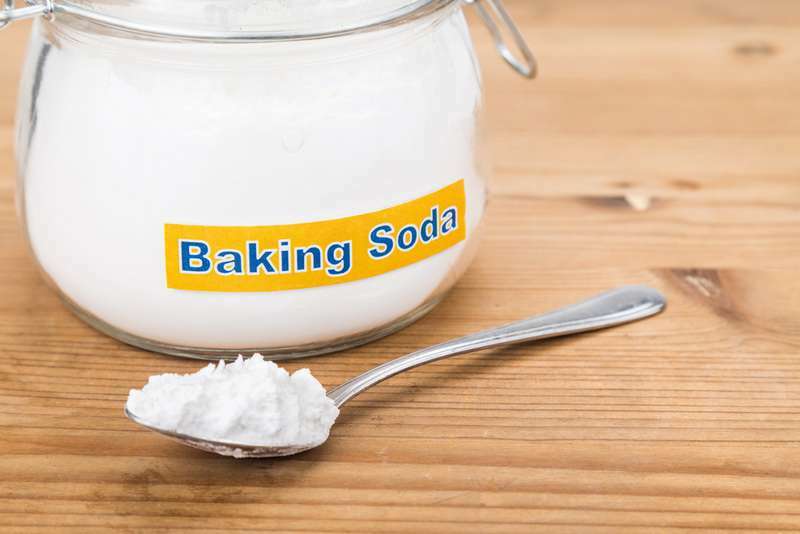 The presence of soda in baking powder makes it quite suitable for cleaning dirty surfaces of furniture. Just mix a pack of the powder with water until it forms a gruel. Put it on the surface and leave it. Then, remove the remainder of the mixture with a sponge, slightly rubbing the dirty area. Put something under the vertical surfaces, so that you won’t have to spend a lot of time cleaning the entire kitchen. Put on gloves to protect your hands and nails from the solutions. Clean with the window open, providing fresh air. If you know some more useful tips on how to remove grease from different surfaces, let us know. Thanks!